Credited with popularizing the use of microprocessor-based hardware and cartridges containing game code, instead of having non-microprocessor dedicated hardware with all games built in. The Fairchild Channel F. was actually the first console to do this, though the 2600 made the plug-in concept popular with the game-playing public. The Atari VCS changed to the name "Atari 2600" in 1982 and comes from it's model number (CX2600). This change occurred after the 5200 was released due to easier identification. The Atari 2600 was wildly successful. During the 1980s, "Atari" was a synonym for this model in mainstream media and, by extension, for video games in general, similar to "Nintendo" and "PlayStation" in the later 1980s and '90s. The Atari 2600 was released in Japan as the Atari 2800 in 1983 by Atari after Epoch distributed it with the 2600's name. The 2800 was the first time however, that a 2600 console was designed specifically for the Japanese market. Since it was released shortly after the Nintendo Family Computer (Famicom/NES), it never captured a large market in Japan. The Famicom became the dominant console in the Japanese video game market of the time. An Atari 2000 was proposed as a cheaper and child friendly alternative, but never released. Work on the original successor, named the "Atari 3200", was started but never completed. 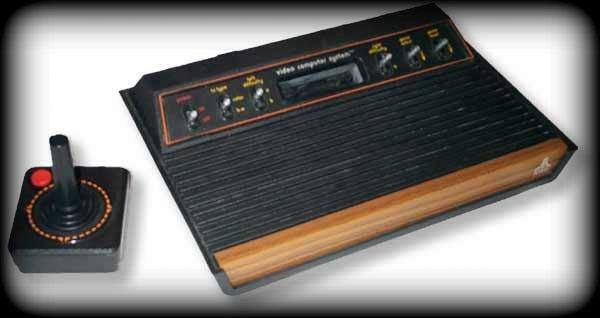 It was said to be backwards compatible with Atari 2600 games and have a 10-bit CPU, up from the 8-bit 2600 CPU. Preliminary testing by programmers suggested that it was even harder to program for than the 2600, so work on the 3200 ceased and their second "System X" was completed and become the 5200, Atari's next console. Also known as the "early 8-bit era" or the "4-bit era".